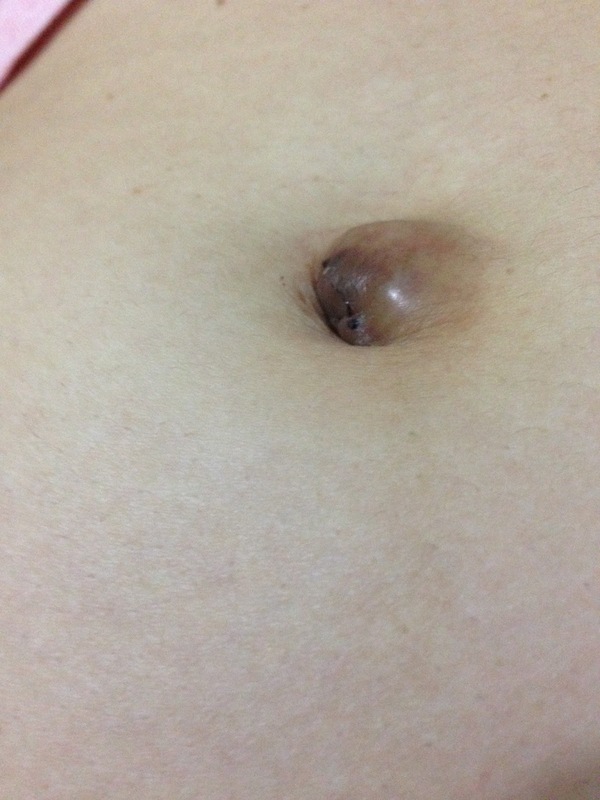 Woman 45 yo, PARA 2002, normal spontaneous vaginal deliveries,no cesarean operation nor history of hormonal contraception. 2 years ago she detected her umbilicus swelling some days before her menses and continuous pain during the entire of her period in some times bleeding. 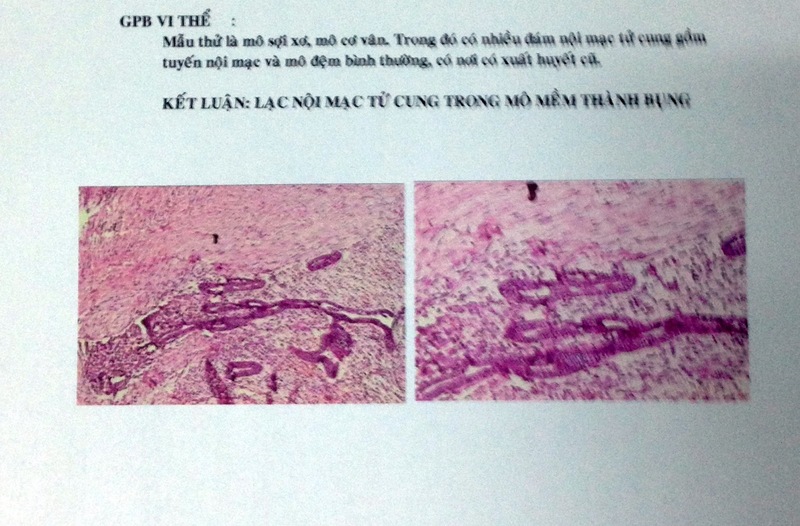 In clinical examination the umbilicus deformed by one mass which were bluish-black, hard and not hot (see 2 photos). US1: this mass was well bordered, localized in cavity of navel. Structure of mass was solid, size of 2.68 cm. 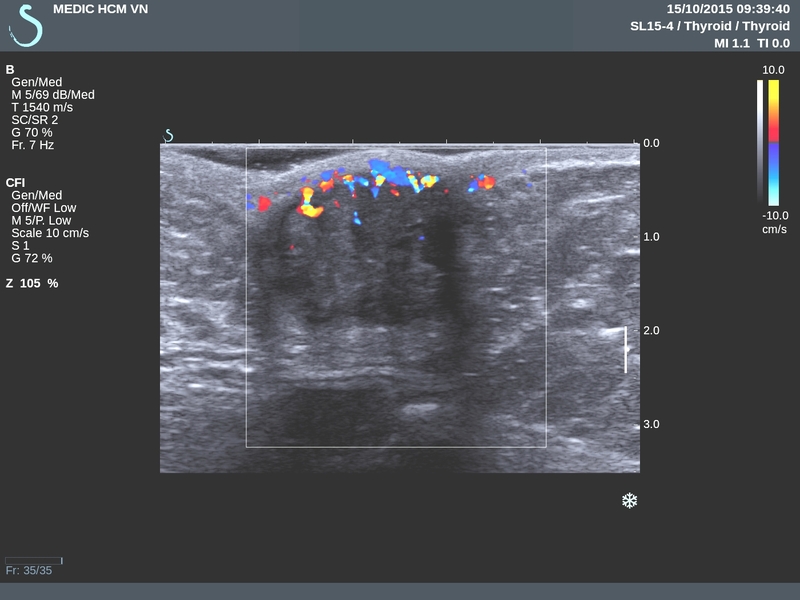 US 2: in CDI, vascular supplying from peripheral part of mass. 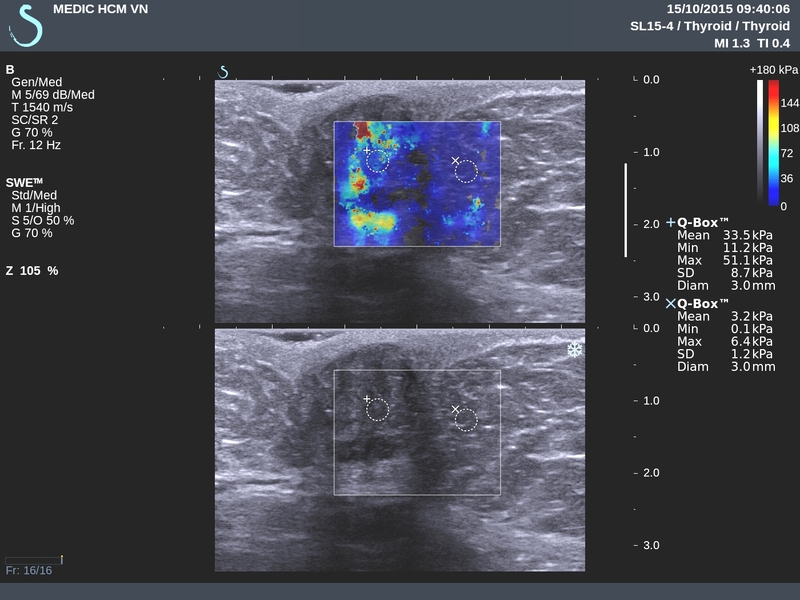 US 3: in elastography: hard mass in comparison to muscle. US 4 : uterus and pelvis were not intact. Preoperative diagnosis is primary endometriosis. 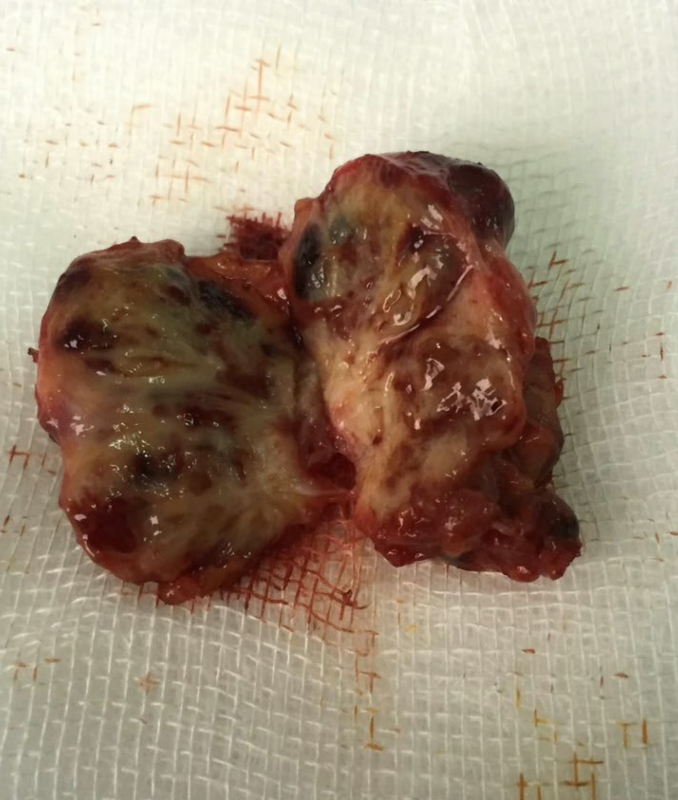 Removed this tumor. See macroscopic specimen. 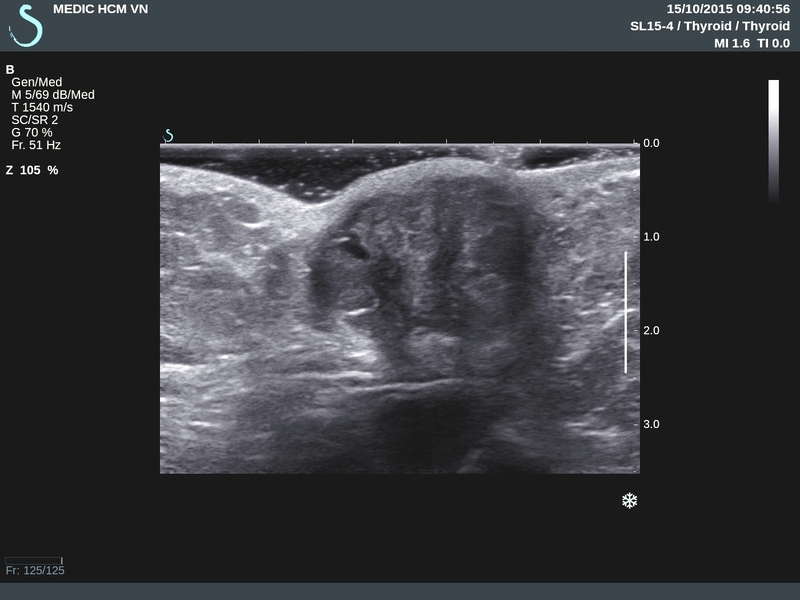 CONCLUSION: This is a case of PRIMARY ENDOMETRIOSIS in umbilicus.